Southend in Sight are delighted to have been chosen by The Worshipful the Mayor, Cllr Derek Jarvis as his chosen charity while in office. Southend in Sight is celebrating winning the Life Changing Impact Award on Wednesday 24 October at The Visionary Conference held at Aston Conference Centre in Birmingham. 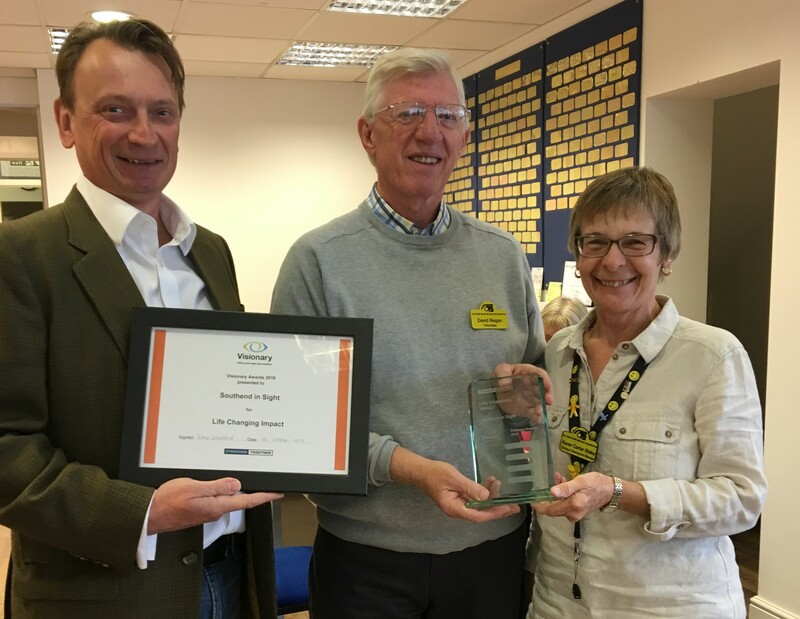 The Life Changing Impact Award, sponsored by Thomas Pocklington Trust, is open to Visionary members who can demonstrate the impact they have had on the lives of blind and partially sighted people. Southend in Sight, the Community Services division of Southend Blind Welfare Organisation, won the award because of its commitment to reducing financial concerns in those experiencing sight loss issues. 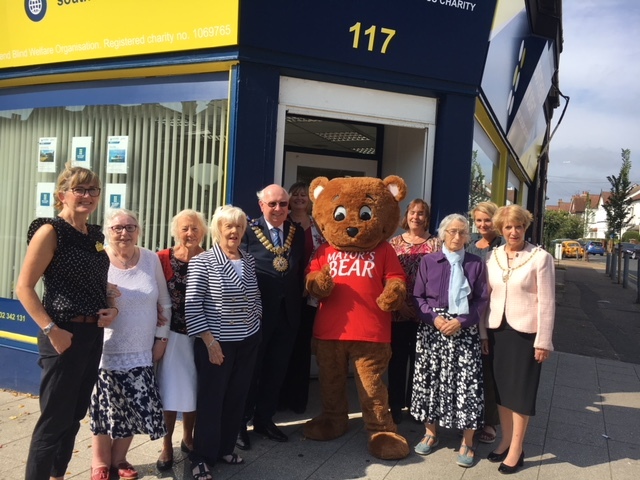 The charity, based in Hamlet Court Road Westcliff, introduced a volunteer-led service helping people to apply for Attendance Allowance, advising on other benefits and general financial help after finding that many of its service users had no idea that Attendance Allowance was available to them. Due to their sight loss, individuals were struggling with cleaning, gardening, reading post, getting out and about, shopping, etc. and this regular allowance makes many of these day to day activities easier, meaning people can remain independent. All the attendance allowance applications made with the charity’s help have been successful. Service users can afford to get a taxi, have a regular cleaner, ask people to go out, go shopping and have help in the garden.